IntraSafety is the result of a successful research project funded by the BMBF (German Federal Ministry for Education and Research). Top-class partners and consortium participants, such as Chemion Logistik GmbH, BIBA, Bremer Institut für Produktion und Logistik GmbH were involved under the leadership of tbm. The objective of increasing the safety and efficiency of industrial trucks in intralogistics through the use of intelligent ICT was achieved with the IntraSafety system and was presented with the great appreciation of the BMBF. IntraSafety fulfils all the functions of the NoColl collision protection – and this at a very high safety-related level (self-monitoring). IntraSafety, however, is capable of even more: It also controls the logistics management in accordance with the criteria of Industry 4.0. Bi-directional communication between vehicles and traffic routes ensures transparent and safe logistics. You know where which vehicle is located in real time. You can effectively access the system, issue appropriate travel instructions and improve the material flow. With the overview of the logistics, new opportunities are opened up for you for the organizationof the logistics. Speed limits on individual traffic routes in specific areas or at especially hazardous locations increase safety and reduce damage and injuries. Depending on the time of day or the volume of traffic, specify the speed limits and in doing so combine safety and productivity. With the tools of the IntraSafety webservice you can recognize highly frequented zones, traffic routes and hazard points. Thereby you can quite quickly and simply identify optimum traffic routes and speed up the material flow in doing so. The tools of the IntraSafety webservice are a real bonus for your logistics optimization. when they are wearing a special IntraSafety vest. This has special sensorsand devices with which a person can be recognized and be warned of danger via a vibrating alarm. 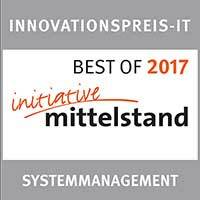 IntraSafety is the excellent product of the system management category.